1944. This is Lauren Bacall’s first year in Hollywood. She’s 20 years old and has already made waves in the world of fashion having caught the eye of Diana Vreeland and featured on the cover of Harper’s Bazaar. During her screen tests for her first movie, To Have and Have Not, she’s so nervous that, to minimize her trembling, she presses her chin against her chest and looks up at the camera. 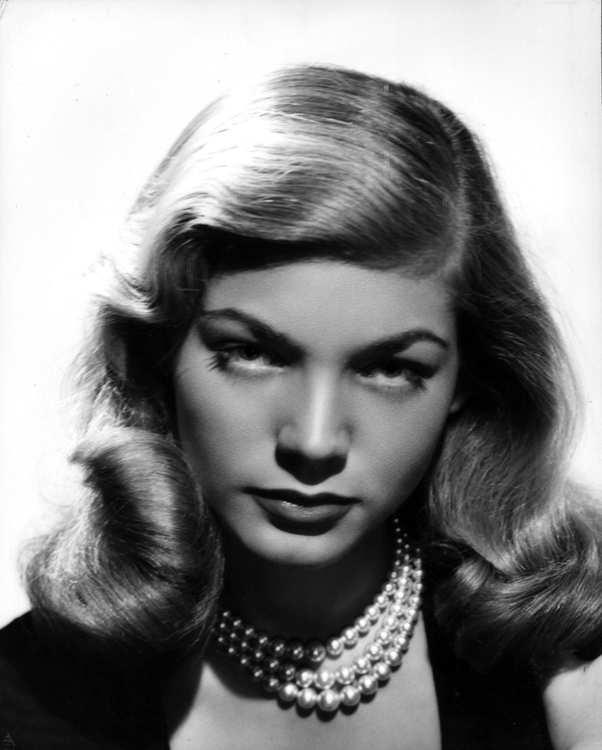 The effect is electric and soon comes to be known as “The Look” – a Bacall trademark along with her sultry voice. To Have and Have Not will change her life for ever. She will begin an affair with her leading man, Humphrey Bogart. They will marry the following year. And her career will never look back.